Photo: (L-R) Alison Brown, Thomas Hart, Nicolas Pace, Zachary Rast, and Clinton Hart. Media Arts film students at Mississippi School of the Arts have accomplished a lot within the short time of the program’s opening. This year, the program will graduate its first class of seniors. Award-winning can also be tagged to the class. Senior film students recently submitted short films to the 2018 Mississippi High School Film Competition, a part of the Tupelo Film Festival. Over 30 films were submitted statewide for the cash prize-winning competition. On Saturday, April 21st, a group of students and staff traveled to Tupelo, Mississippi to compete in the competition for the first time. After a morning and short afternoon watching two blocks of films, the awards were announced. Professional filmmakers abroad saw the raw talent of the submissions from filmmakers Thomas Hart, Clinton Hart, Zachary Rast, Nicolas Pace, and Alison Brown. They were recognized as finalists among numerous competition participants. Winners in the placed categories received cash prizes, with half of the prize to be attributed to the school. Zachary Rast ’18 (Wesson, MS) won First Place – “Theft Amongst the Stables” – Zach received a $600.00 prize, as well as a $16,000.00 scholarship to Watkins College of Art and Design & Film in Nashville, TN. The scholarship was presented by Richard Gershman, chair of the film program: IMDB Profile. Nicolas Pace ’18 (Waveland, MS) won Second Place – “The Doppelganger” – Nicolas received a $300.00 prize. Thomas Hart ’18 (Wesson, MS) won Third Place – “The Library” – Thomas received a $100.00 prize. Alison Brown ’18 (Florence, MS) received finalist runner-up – “Fate of a Sister” documentary. Awards received by these MSA students render a first-hand example of the quality of programming taking place at Mississippi School of the Arts. MSA goes beyond the traditional classroom experience and provides students with master-level film and cinema instruction by writing scripts, setting up scenes, and filming shots on location. Students use industry standard hardware and software such as Sony professional cameras, Zoom audio recorders and boom microphones, advanced lighting, Apple OSX workstations, as well as Adobe Premiere and After Effects to finalize film productions. 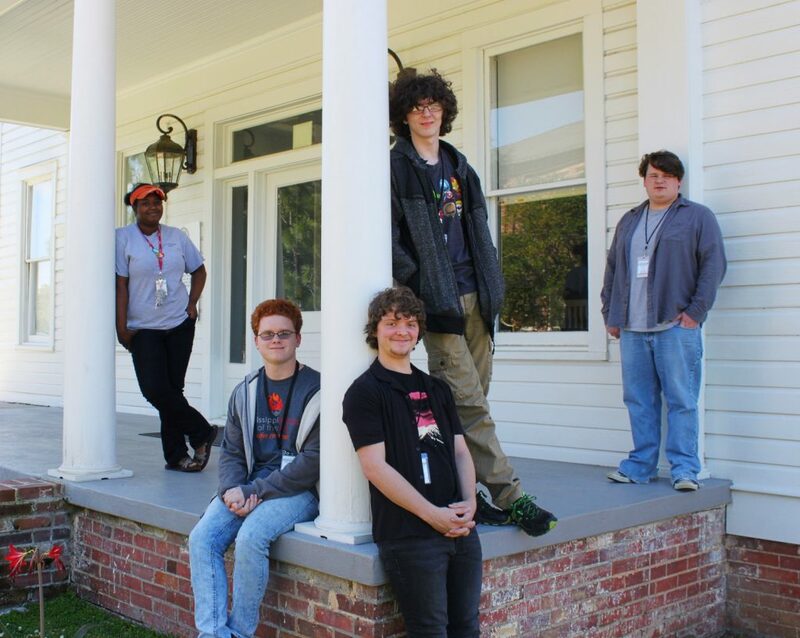 Click Here to view information about the Media Arts program at Mississippi School of the Arts.